By Rob W. Hart/ The internet isn’t just about promotion. There are plenty of opportunities for writers to improve their craft and querying skills, and one of the best ways to do that is through the Twitter feeds and blogs of literary agents. Because, here’s the thing: It doesn’t matter how much time you devote to learning about the industry. You will never know it as well as the gatekeepers. Think of it like this: You want advice on a cut of meat. Do you ask your friend, who happens to really like steak? Or do you ask a butcher? Even a self-published author can find a great deal of helpful information, from improving your own writing, to keeping up-to-date on the latest trends in promotion. When it comes to the use of blogs by agents, the finest I’ve seen comes from Janet Reid, an agent with FinePrint Literary Management. First is her own blog,Janet Reid, Literary Agent, which runs a ton of useful tips, links and even the occasional contest. Then there’sQuery Shark, a blog she runs that eviscerates queries in the name of teaching you how to write them better. You will not find a better site on the internet for learning how to write a good query letter. And Ms. Reid’s assistant, Meredith Barnes, runs a great blog atLa Vie En Prose, which focuses on books and promotion, with an eye toward the digital revolution. These three blogs together offer a wealth of information, and will give you the biggest bang for your click in terms of real, hands-on knowledge. And there’s plenty more good blogs out there. The Editor’s Blog at Guide to Literary Agents puts out a yearly list of “best agent blogs.” Here are their picks for 2011. As for Twitter, one of my favorite agents to follow is Donald Maass, at the Donald Maass Literary Agency. He writes “breakout prompts,” which are little challenges to help you make your manuscript stronger. Again, that’s not some feel-good “write what you know” pablum. That’s laser-focused suggestions to help you improve your writing. Galleycat has a really good post on the best literary agent Twitter feeds, which you can find right here. Click through, follow all of them. You won’t regret it. Word of warning, though: Do not (I repeat, DO NOT) pester the agents you follow. Did they write a good blog post and you want to comment on it so you can contribute to the conversation? Great! Did they write a good blog post and you want to comment on it to see if they read your query? NO! If only there was an agent who spoke to the etiquette of this sort of thing… oh wait, Janet Reid did on her blog! Now do you see what I mean? Wealth of information, this internet thing. And, hey, the ‘net is good for a laugh, too. If life’s got you down, go check out Slushpile Hell. At least you know better than that, right? We’d be remiss not to mention the blog of former literary agent Nathan Bransford. 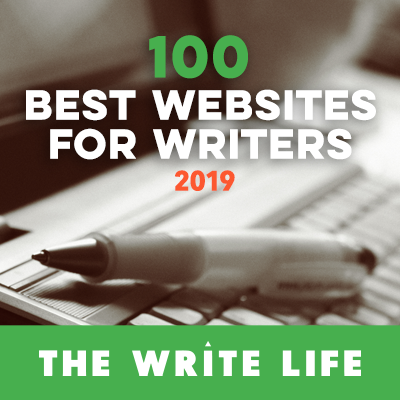 From weekly updates on the publishing industry to spot-on query mad libs to an extremely active and helpful community on the discussion board, this blog is definitely one you want to check out. Book Ends Literary Agency also keeps an active face (or rather faces) on Twitter. @BookEndsKim and @BookEndsJessica are frequent swimmers in my Twitter stream. They do a commendable job interacting with and encouraging writers. Just note—the same rules apply as above. Don’t be an overzealous fan. Novel Publicity owes a lot to Ms. Janet Reid. She featured us in an article entitled “Effective Use of Twitter” just before our launch. Needless to say, our traffic exploded. Perhaps you now follow our blog, because of Janet’s. Thank you, thank you. I don’t know if it’s just me and my browser, but none of the links worked. This is a great list. I’d add Rachelle Gardner as a blog to follow. It’s been hands-down my favorite agent blog for a while now.